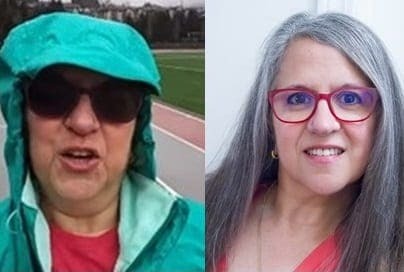 A week or two ago, there was some discussion on a Twitter thread that some “wouldn’t trust a fat Dietitian” and yesterday I was told “once you get in shape then you can dish out advice” – as if my past or current health status makes me less credible or competent to counsel others. Both of these got me thinking, is a ‘slim Dietitian’ really more credible? What is a Dietitian’s credibility and competency based on? There is no question that there is a ‘fat bias’ and am not arguing whether there should be or shouldn’t be, but what makes any clinician credible is the scientific evidence on which we stand. What makes me credible in teaching others to follow a low carb / keto lifestyle has nothing to do with my body weight; it has to do with the 76 studies with almost 7000 subjects over the past 18 years which provides the scientific basis on which I base my practice. What makes me competent to counsel is my education, as well as my experience in clinical practice. I have a post graduate degree in Human Nutrition, am a published researcher and have over a decade of experience in private practice and my learning didn’t stop there. If it had, I would not have made the transition in thinking that I did approximately 3 years ago. It took a huge amount of research and reading and very strong scientific evidence for me to come to the conviction that what constitutes best-practice in helping people address overweight, obesity and insulin resistance, including Type 2 Diabetes is following a low carb / keto lifestyle. I continue to spend most of my free time reading scientific studies in order to more fully understand the strength of the evidence on which my clinical practice is based. Competence is the ability to achieve a desired result and my ability to help others lose weight and lower their metabolic markers is independent of my body mass. My competence is dependent on the scientific research. 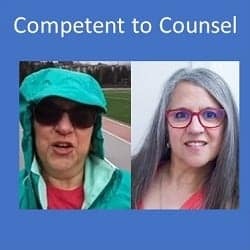 My current body weight does not make me less competent to counsel others. I am a “sample set of one” (n=1) and my personal health and weight-loss journey is just that – personal, anecdotal evidence. 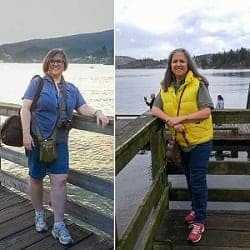 It encourages my clients and those that read my articles that I actually understand what is involved in living a low carb / keto lifestyle, and when I say that it can be done fairly easily and over the long-term, I know this first-hand. 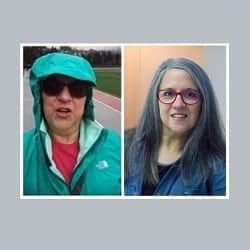 Someone pointing out that I am not skinny is not news, as my past and current health status is on my web page and plastered all over the internet in Technicolor, for all the world to see. 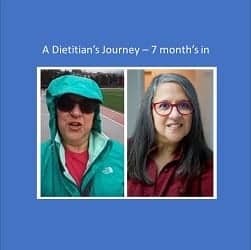 But, eleven months ago, I was an obese Dietitian with a host of metabolic issues including Type 2 Diabetes, hypertension, dyslipidemia, high visceral adipose, etc.). 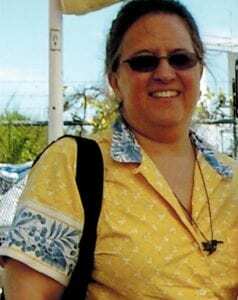 I was the poster woman for Metabolic Syndrome. I started “practicing what I preach” and the results speak for themselves. My progress is well documented, I’ve lost 35 pounds, 7½ inches off my waist and have only 2 ½ more inches to lose to achieve an ideal waist to height ratio. 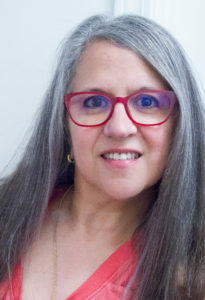 I am in partial remission from my Type 2 Diabetes, have almost normal blood pressure and have a lipid profile that is considered ‘ideal’, and no longer take medication for chronic gastroesophageal reflux disease (GERD) – something I have done for years. If you want to read the technical details of my progress, you can read this article. …and I have the mirror. Sure, I still have 15 pounds to lose to be in the normal weight category and probably closer to 25 pounds to lose to be at my ideal body weight and waist circumference, but eating low carb isn’t a ‘diet’ for me, but a permanent change in lifestyle. It has to be because of the degree to which I have become intolerant to more than a small amount of carbohydrate. I just need to keep doing what I am doing and continued improved health and appearance will come. This is my journey. If you would like to know how I can help you on your own health and nutrition journey, please send me a note using the “Contact Me” form above. 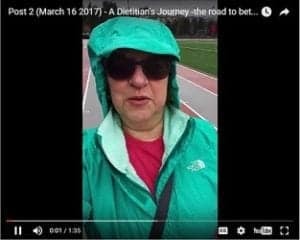 My journey began on March 5, 2017 when I was a fat Dietitian with all the benchmark symptoms of Metabolic Syndrome including Type 2 Diabetes, high blood pressure, high LDL cholesterol and triglycerides, abdominal adiposity (i.e. “a belly”) and high BMI (high weight for height). Physically I was a mess but my biggest problem was that I was in denial. 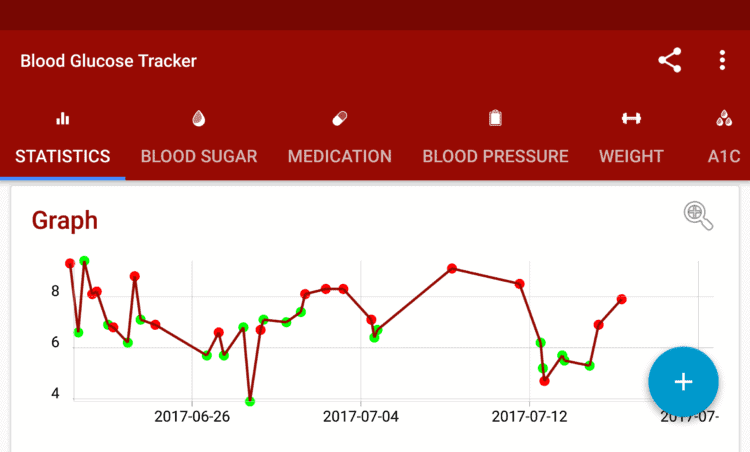 It had been months since I had monitored my own blood sugar or blood pressure even though I had been diagnosed with Type 2 Diabetes 10 years earlier. I knew better. I would occasionally step on the scale and weigh myself, but how my clothes fit (or didn’t) already told the story. I was overweight. Actually, I was obese. 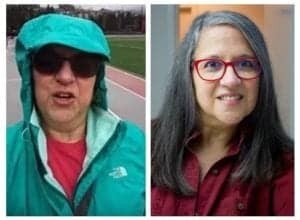 Shortly before my own turning point in March 2017, I had two girlfriends my own age – one who I knew since high school and one since university die of preventable diet-related disease within two months of each other. Both were in healthcare and took care of others practicing their profession, just as I do. I had two degrees on the wall but didn’t take care of myself. March 5, 2017 all that changed. That was the day that the pain of remaining the same became greater than the pain of changing. So I changed. 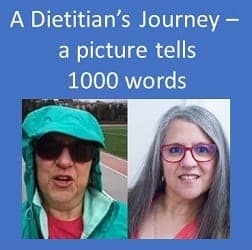 That story and the progress since then are in previous articles in A Dietitian’s Journey. Like many others, I once believed that “Diabetes is a chronic, progressive, disease” and that it will only get worse in time. I realize now that if I had continued to eat more carbs than my body could handle, then it most certainly would have gotten worse but I have almost 11 month of evidence that supports that if I don’t, it CAN and DOES get better. I am not “cured” by any means, but my symptoms are now in what the American Diabetes Association defines as partial remission and I may very well be able to achieve full remission, as I continue to eat a low carb diet. I will only know in time. To achieve remission with Type 2 Diabetes (T2D) is like someone being in remission with Celiac disease; we can get well and stay well provided that we don’t eat the foods that we can’t tolerate; for a Celiac that’s gluten and for someone with T2D it is more carbohydrates than their body can handle. I do eat some carbohydrate each day, mostly as non-starchy vegetables, the occasional berries or pomegranate seeds on a salad, as well as some nuts and seeds but I am careful to keep the amount at any one time below what my body can process while maintain blood glucose control as close to a ‘normal’ (non-Diabetic) level as possible. 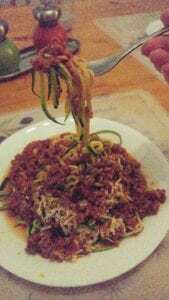 This article explains how and why my body is no longer able to handle more than a small amount of carbohydrate at a time. 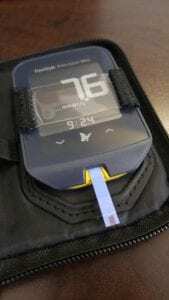 Abbreviations: 2hPG , 2-hour plasma glucose; A1C , glycated hemoglobin; FPG , fasting plasma glucose; IFG , impaired fasting glucose; IGT , impaired glucose tolerance; OGTT , oral glucose tolerance test; PG , plasma glucose. It does not appear that Diabetes Canada define these concepts, however the American Diabetes Association (ADA) defines “remission” as having test results below the range for Diabetes (i.e. Fasting Blood Glucose less than or equal to 5.5 mmol/L (100 mg/dL) without taking Diabetes medications or having bariatric surgery. 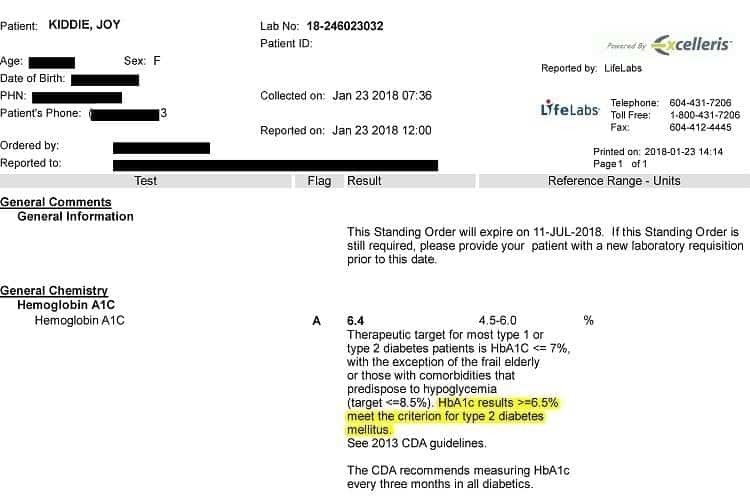 “Partial remission” according to the ADA is having test results lower than the range for Diabetes i.e. 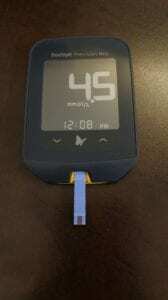 Fasting Blood Glucose less than or equal to 5.5 – 6.9 mmol/L (100–125 mg/dL) or HbA1C between 5.7 – 6.4% for at least 1 year. 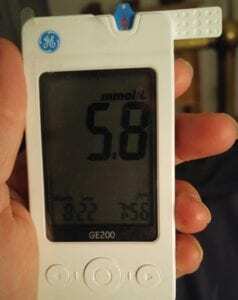 my Fasting Blood Glucose is less than or equal to 7.0 mmol/L , so I no longer meet the diagnostic criteria and fall in the partial remission range. 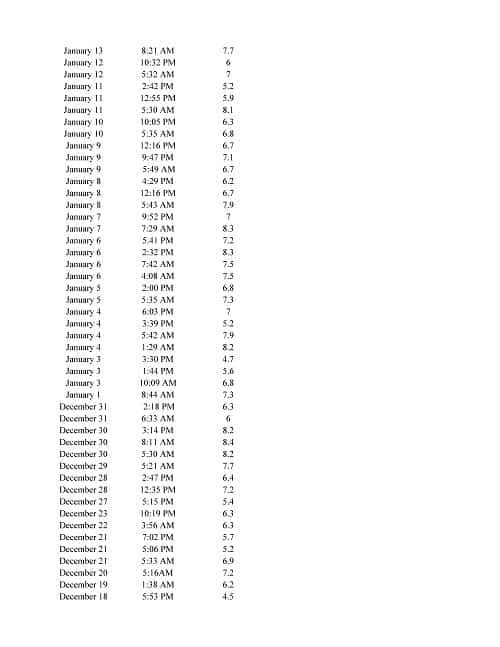 As you can see from the following picture, the average of my twenty-four Fasting Blood Glucose readings from January 1 2018 – January 24, 2018 has been 6.0 mmol/L. 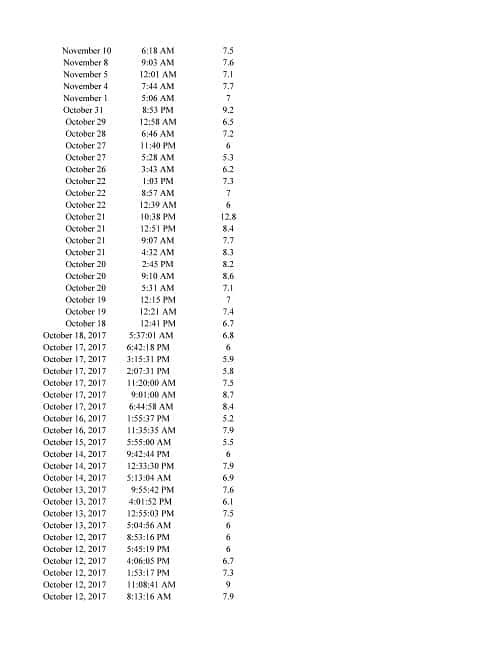 Out of the 24 glucometer readings (with a meter that I standardized with the lab when I had my tests done), only once was my blood sugar higher than the cutoff. This would indicate that I am in partial remission, by the ADA definition. 3. My 3 month glycated hemoglobin test, also known as a HbA1C (or “A1C” for short) is less than or equal to 6.5 % which means that I no longer meet the criteria for the disease and my results fall in the range for partial remission. 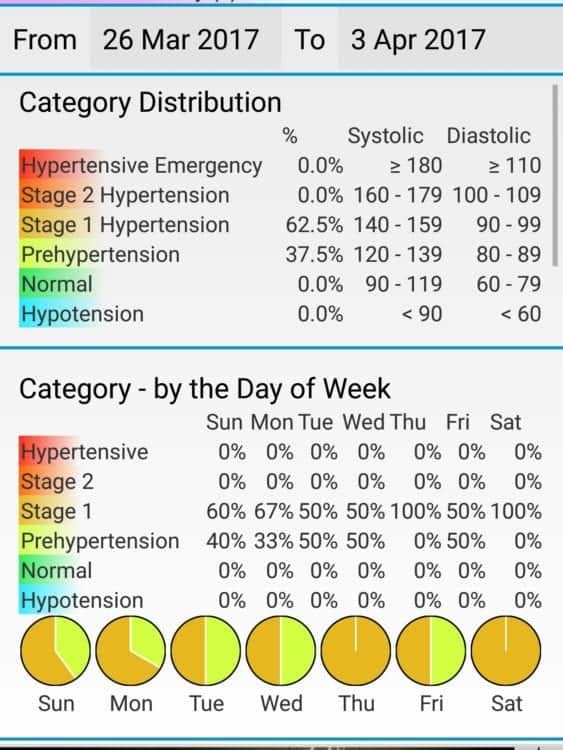 My LDL was at the high-end cutoff two years ago, after only 4 months on a low carb high healthy fat diet, it was approaching what is considered by the existing / popular standards of “optimal LDL” for someone who is high risk (family history of cardiovascular disease). My LDL was 2.60 mmol/L (1.14 mg/dl), my triglycerides (TG) were 0.64 mmol/L and my HDL was 1.97 mmol/L. Using more significant measures, my TG:HDL ratio was 0.32 (with <0.87 considered ideal). A very low TG:HDL ratio is associated with lots of large, fluffy LDL – the kind associated the lowest risk of cardiovascular disease (CVD) such as heart attack and stroke. It is the higher density, small LDL particles that are associated with CVD. I’ve lost 35 pounds. 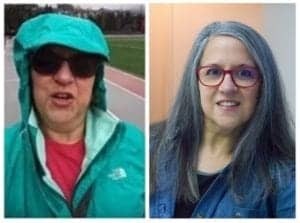 I feel better about how I look than I have in many years, and I am a little more than half way there. I am celebrating my progress, but not letting it be ‘enough’ because health-wise, it isn’t. 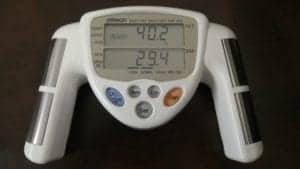 To truly reduce my risk of heart attack and stroke, I need to lose another 25 pounds, or whatever weight will actually put my waist circumference at half my height. I’ve loss 7 inches off my waist. That’s more than 1/2 a foot! Crazy, eh? I only have another 3 inches to lose off my waist for me be in the low-risk category and I am guessing that will correlate to another 30 pounds of weight loss. Maybe it will be less, maybe more, but my weight loss goal is whatever it takes for my waist to be half my height. The scale won’t determine my goal, the tape measure will. My hard earned success in achieving partial remission from Type 2 Diabetes and these significant improvements in metabolic markers would be very short-lived if I began to eat more carbohydrates than my body can handle. I am still learning how much of which kinds of foods I can eat while maintaining my blood glucose levels but my own “n=1 results” seems to indicate that full remission of Type 2 Diabetes may very well be possible. The literature seems to support that it is possible- but whether I can achieve that level has yet to be seen. I still have much more to achieve, but I am definitely on the road to better health! P.S. 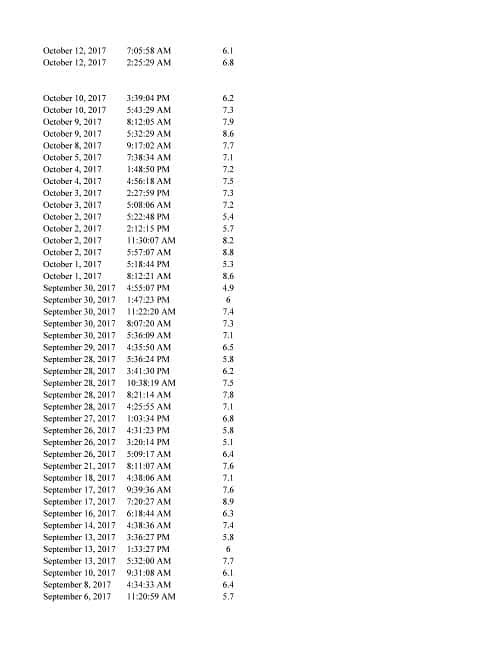 For those that would like to see the “numbers” to understand my progress to date, below are 10 photographs showing all my glucometer readings since March 5, 2017 until today. As I wrote about in a recent article, there’s more than one way to eat a low carb ketogenic diet including (1) low carb high fat (2) low carb high protein and (3) a mixed approach of higher protein lower fat during weight loss, then a moderate protein high fat during weight maintenance. Up until very recently my approach with my own weight loss has been low carb high fat – with the focus on monounsaturated fats such as olive oil, avocado oil, nut and seeds (and their oils) and omega 3 fatty acids from fatty fish. The problem has been that the last while, my weight loss and the rate at which my blood sugars were coming down has been too slow. As I do with my clients, it was time for a different approach. Since both of the other two types of low carb diet involves higher protein and lower fat I knew this is what I needed to do, but how much protein? How much fat? Do I keep carbs the same or lower them? In answering these questions, I have achieved a major breakthrough in my own ‘journey’ to better health. I started with carbs. In discussion with my endocrinologist, I knew she supported carbs at 10% or less of my intake so I calculated my needs based on my gender, height, weight, activity level and weight loss goal – just as I do for my clients, and then figured out how many grams of carbs I could have in a day at this level. It was even lower than the amount of carbohydrate that I had been eating (which had been lowered twice over the last 10 months – from moderate, to low and now to very low), but since this ‘very low’ limit was in line with what my endocrinologist recommended, I set my carb limit at that. Protein, rather than fat had to be the second macronutrient I needed to set and since it was to be based on lean body mass and not my total weight, I determined my fat percentage. Then, I calculated how much protein I needed to eat per day based on the research studies. As it turned out, the lowest end of the range was considerably more than I had been eating, and only just slightly higher than what the average Canadian or American eats in a day. This was a bit of an obstacle for me, as I am not a big egg eater also not a big red-meat eater and there’s only so much chicken I can handle. I knew I wanted to continue to eat a few ounces of cheese every day as this is a major calcium source, but that meant factoring in the fat the cheese would add, which I did. Nuts again cropped up as a significant problem – not for their carb content, as much as their fat content. 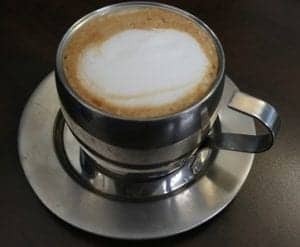 Eating lower fat and higher protein meant nuts and seeds were going to be limited to a sprinkle on a salad and cream in my coffee was limited to a little bit once a day. I needed to look at option that would work for me in terms of protein and since I don’t eat pork or shellfish, that left me focusing on freshwater and sea fishes as well as finding ways to include beef and lamb along with different kinds of poultry. Even though I live on the West Coast, there are many kinds of fish available to me to eat besides the ubiquitous sockeye salmon and halibut. 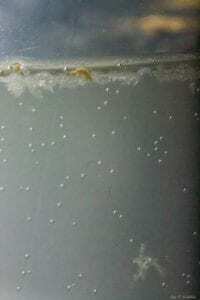 I began exploring what was available frozen and rediscovered sea fishes such as whole mullet, mackerel and milkfish, fresh water fish such as whitefish, as well as the bags of filleted cod for quick preparation (I avoid basa and talapia because they are high in omega 6 fat, which makes them pro-inflammatory). I cooked a whole salmon on Friday and have been eating the leftovers cold for breakfast, since I am not that fond of eggs. I began to think of poultry beyond chicken and bought and roasted a turkey (which also left leftovers to eat for my early meal) and began to think of ways to cook quail and duck (minus all the fat). Eating a wide variety of fish and poultry with some cheese thrown in there has provided me with sufficient protein on most days and for the occasional time that I just can’t handle eating more, I mix some cocoa powder with whey isolate and drink that. I should add that when I eat, I am not trying to 'fulfill' my macronutrient distribution (gms of protein, carbohydrate and fat) but rather, I eat as much whole food protein at my two meals (one mid-morning and the other around supper time) then eat a good 2-3 cups of low carb veggies with the protein. I add a little bit of mayo, butter or cream to make things taste good, and don't "count" anything except carbs. In fact, I encourage my clients to do likewise. I focus on maximizing whole food protein within my Meal Plan and the fat that I end up with is what naturally comes with those. 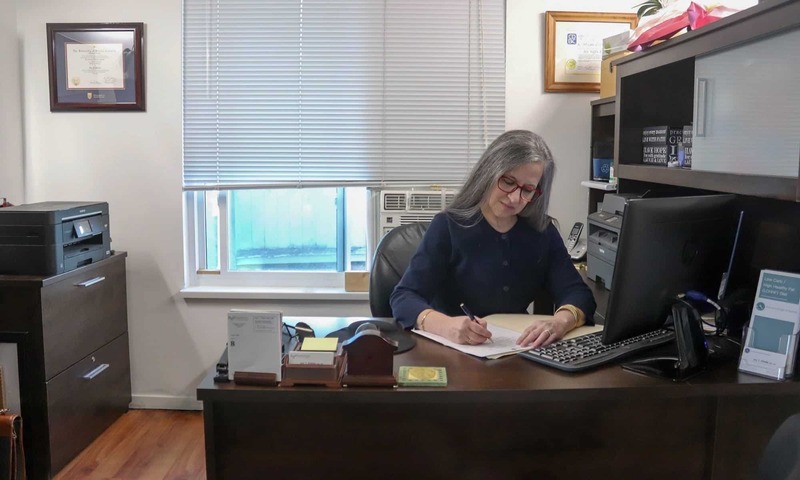 It's a very "easy" lifestyle to follow, once the calculations are done - and since I do those for my clients, it only makes sense for me to do them for myself, too. Leading by example, right? I’ve lost 4 pounds in 2 weeks and as significantly, I have seemingly lost most of it off my abdomen and not just the fat under the skin (sub-cutaneous fat), but the fat deep in my belly, around my organs (visceral fat). My fasting blood sugar actually went down after it went up in the wee hours of the morning (the effects of Dawn Phenomena) which would seem to indicate that the loss of belly fat is indeed making me more insulin sensitive! 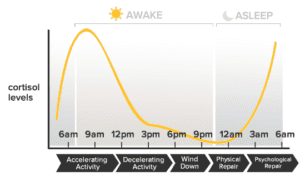 When my early morning blood sugar goes up due to Dawn Phenomena, my cells are now more responsive to the resulting spike in insulin, and the excess sugar is now being taken into the cells, like it is supposed to! These changes cannot be attributed to the baby dose of Metformin that I’m taking before bed (which is lowering the magnitude of the Dawn Phenomena rise), but is reasonably related to the only other change that I have made which is the increase in the amount of protein I am eating (in grams) and the reduction in the amount of fat and carbs I am eating. We do know that over time, the body gets adapted to the changes we make – whether dietary or exercise changes and that to continue to get results at the rate that we want, we need to change the approach. I do this in my follow-up approach with my client over their weight-loss and health journeys and it was necessary for me to this for myself, as well. While it is much ‘easier’ for me to eat a lower protein, higher fat diet as these are the foods I prefer, my goal is to reverse the symptoms of Diabetes and put myself into remission (have normal fasting blood glucose and normal HbA1C long term). For me, while it is not the easiest of most natural way for me to eat, increasing the amount of protein, decreasing the amount of fat and limiting my carbs to those contained in non-starchy vegetables is allowing my body to heal in the ways in needs to – allowing food to be my medicine. The question arises “was it the lower carbs or higher protein that has made the difference?”. I had tried a few times before to lower my carbs down to almost as low as I am now and to made up most of the extra intake (outside of my basic protein need) from fat, but this did not contribute as much to me not being hungry (i.e. satiety) as this higher ratio of protein with the rest from the same sources of fat (which is still “high” by most standards). So yes, it is partially due to the lower carb content, but reasonably to the higher protein content, as well. My entire ‘journey’ has been (and is) about me doing whatever it takes to achieve my goals with a healthy and evidence-based diet and it’s hard to argue that with 30 years of combined research in this area that Phinney and Volek aren’t reliable in terms of evidence. It mades sense for me to do what they recommend, even it if isn’t the most “natural” way for me to eat. My hope is that in time, when I am no longer insulin resistant, that I can switch over to a moderate protein high fat intake as Phinney and Volek recommend, but for now this is what is best because it is working and because it is in accordance with what my endocrinologist recommended, and under the supervision of my doctor. The ironic thing is that most of my clients do really well on moderate to low carb restriction with a fairly high intake of monounsaturated and omega 3 fat and are content with their rate of progress which is great. For those that will need, in time, to make changes to the way they pursue a low carb lifestyle, I hope by me leading by example, it will be encouraging to them. Tomorrow I am scheduled to have my HbA1C level checked which won’t factor in much of these new changes in blood sugar levels because the test looks at the amount of glucose which stays attached to hemoglobin (Hb) for the life of the red blood cell (i.e. glycated hemoglobin), which is normally about 120 days / 3-4 months. 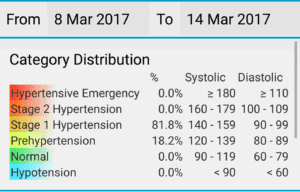 At my last test 3 months ago, my glycated hemoglobin was 7.0% and what I am ultimately aiming for is a HbA1C of <6.0%, which would be in the non-Diabetic range. Whether its this time or the next time isn’t really as significant is that it has been more than 10 months where I have diligently been working towards that goal. I’ve successfully normalized my triglycerides and lipids and brought them into the ideal range and have substantially lowered my blood pressure – and both of these were done by diet alone. It will be interesting to see the effect of these diet changes on my HbA1C, as well as have some indication of how much more I have yet to do. It’s all about progress, not perfection and significant progress is being made, as evidenced by this recent personal breakthrough. If you’d like to know how I can help you achieve your health and nutrition goals, please send me a note using the “Contact Me” form on this web page. INTRO: “Before” and “after” photos are often the source of encouragement, as I progress on my journey. This “before and since” photo serves as some Monday-morning motivation. Yesterday, after ten days on crutches and a brace due to a torn MCL tendon, I had finally progressed to a cane and just had to get out for a bit. With a break in the rain, one of my sons and I headed for Indian Arm, an ocean inset nearby. It was mild and humid and I really didn’t want to wear a long sleeve jacket, so I reached for a down-filled vest that I bought a number of years ago that never zipped or snapped up, and headed out. When we arrived, there was a breeze off the salt water and instinctively, I zipped up the vest and snapped the outer snaps. Only in hindsight did I realize this was the first time I ever did that – and with a little room to spare. We walked (actually, I hobbled on my cane) along the coast path and down to the pier and took in the fresh air and beautiful view. As we were leaving, I remembered the photo that was taken of me 2 1/2 years ago on the same pier, around the time I first learned about eating low carb high fat (LCHF) and asked my son to snap a photo of me on my phone, so I could compare them. In both photos, I was dressed in comfortable clothes, with no makeup and my hair however it was. When we returned home, I dug out the old photo and here they are, side by side. 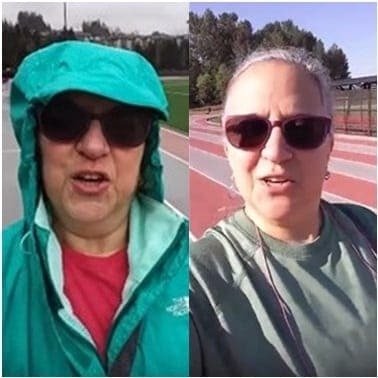 Even with my puffy down-filled vest and knee brace, the difference is noticeable, even though it has only been 6 months that I have been “practicing what I preach” and eating low carb, myself. Since I am very much ‘in progress’ with my weight loss and achieving my health goals, I refer to this as before and since rather than before and after. It will be interesting to take an updated photo this time next year to see the progress. Encouragement in our health journeys come in many forms; a number on the scale, new lab results, readings on a glucometer, or photos over time. Today I celebrate this mid-point progress in this Dietitian’s Journey and I encourage you to celebrate yours! As I’ve made it a habit to do each weekday, this morning I went out for my walk, using Nordic poles. 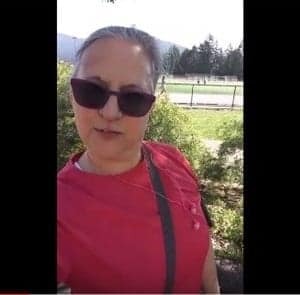 I had an appointment to keep, so I kept it to 3 km at a brisk pace, around that beautiful lake that I’ve previously posted a video update from. Despite eating quite low carb and delaying the amount of time between meals each weekday, my fasting blood sugars remain high. I’ve noticed that after I walk in the morning, they come down significantly, so I’ve decided to integrate a short walk around my neighbourhood after dinner, to see if my fasting blood glucose lowers. It should, which leaves me to determine how long a walk is ideal. 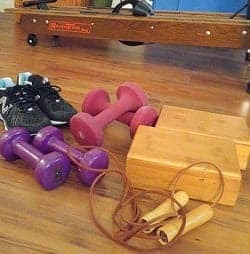 I don’t want to make it a “workout”, as that can interfere with sleep, but I also don’t want to make it so short that it doesn’t have any effect. Today I started with a 15 minute walk at a comfortably brisk pace. Tomorrow, I’ll try longer, to see if it changes the results in the morning, and if so by how much. As I began my walk, I realized that I’ve lived in this neighbourhood for several years, yet never walk around it. I guess it’s time I get to take in the beauty that is all around me. 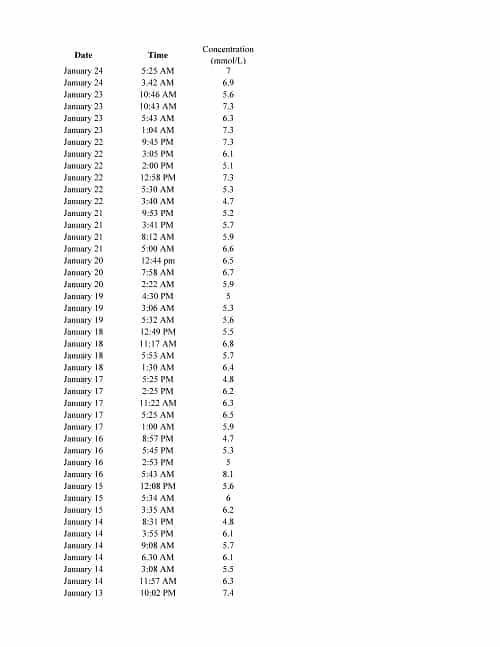 It turns out, that a leisurely 20 minute walk after dinner results in my blood glucose dropping to ~5.2 – 5.4 mmol/L (94-97 mg/dl) and staying that way through the night (measured at 1 AM and 4 AM and 6 AM in the interest of science, of course!). This is now part of my routine! 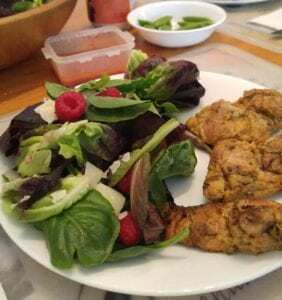 A Dietitian’s Journey – what’s that on the floor? This morning, as I was getting ready to go out for my walk, I noticed something on the floor. As I started to bend down to pick it up, I realized it was my own toes! There they were – peeking out from under my shrinking abdomen! It shouldn’t be that the sight of one’s own toes while standing elicits such a surprised reaction, but it did. As usual, I went walking this morning – something that has become a routine, since I fractured a rib 5 weeks ago (washing a bathtub, of all things!). It was supposed to reduce the associated muscle pain (which it did) and after a few weeks, I realized I was really enjoying this “me” time, walking around a local lake. This week, I started Nordic walking (using Trek poles) and have really enjoyed the full-body exercise. Even the drizzle wasn’t going to stop me today. After all, that’s what rain shells are for. In fact, the one I grabbed this morning was the one I bought two years ago online, but that was too small, but today I put it on and zipped it right up. Finally, my body is changing! After 4 months of seeing very slow progress, the progress is becoming more and more evident. 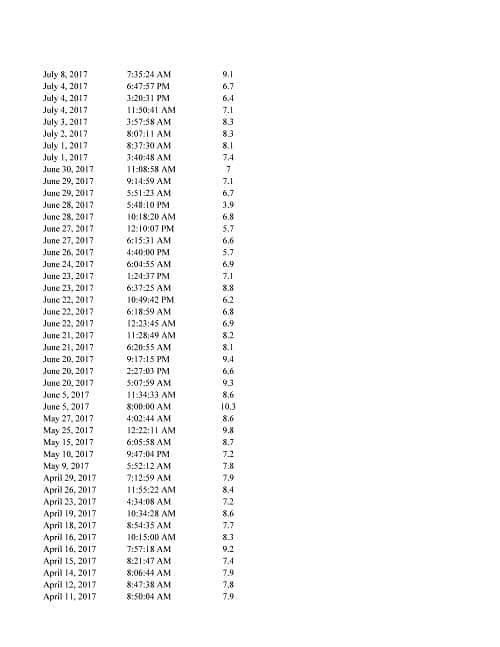 Three weeks ago, at the encouragement of a local area physician whose practice focuses on low carb eating, I decided to take some body measurements, to track my progress. I measured mid arm circumference (between the point of my elbow and the pointy part of my shoulder blade), the my midpoint on my neck, my chest (where a brassiere would sit), my thigh (midway between my knee and my hip, at the widest part) and my abdomen at my umbilicus (or belly button) – which I have been tracking from the beginning. and gained 1/2 inch (of muscle) on my thighs. Also during the last 3 weeks, I’ve lost 2 1/2 pounds and my fat percent has dropped 1.2%. And today, I saw my toes!! Yes, I have a long way to go, but I am not focusing on the destination but on the journey. I am enjoying eating real food and not feeling uncomfortably full afterwards (something absent since I gave up eat carb-based foods!). I enjoy being able to delay the time between meals (intermittent fasting) without feeling hungry, tired, grumpy or deprived). Since I’m a Dietitian, I talk or write about food all day during the work week and most days I eat only supper. Today I was hungry, so I ate a meal at 11am – but I still had a 16 hour ‘fast’ from supper last night until I ate today, where I hadn’t eaten anything. 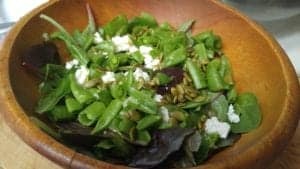 This time is so important, to enable my insulin levels to fall, and lower my insulin resistance that had been created by me previously eating 3 meals and 2-3 snacks per day, all centered around complex carbs – for years. I like the feeling of being active; having gone from being totally sedentary (inactive) to being moderately active (45 minutes 5 days / week). I don’t exercise in order to lose weight, but because it is good for my heart and brain and it lowers my stress level (lowering cortisol). This in turn is good for my blood pressure and for overall health. I enjoy doing it early in the morning and enjoying the feeling of well-being and satisfaction all day long. For the first time in many years, I don’t eat because I am craving something, I eat because I am hungry! In fact, I don’t crave anything! I eat a small amount of dark chocolate each day (for health, of course) and even while intermittent fasting, I can walk through a bakery section of a store and not be the slightest bit interested in any of it. My body is happily burning my own fat (which I have plenty of!) so I’m good. I’m always drinking sparkling water (which I make at home) and usually finish 2 litres (a little less than 2 quarts) by the time I return from my morning Nordic walk. I am sleeping so much better than I have in many years and have discontinued the prescription that I would keep on hand for the frequent nights I was unable to fall asleep. I still wake up sometimes because of my healing fractured rib (if I roll over) but other than that I wake up rested. 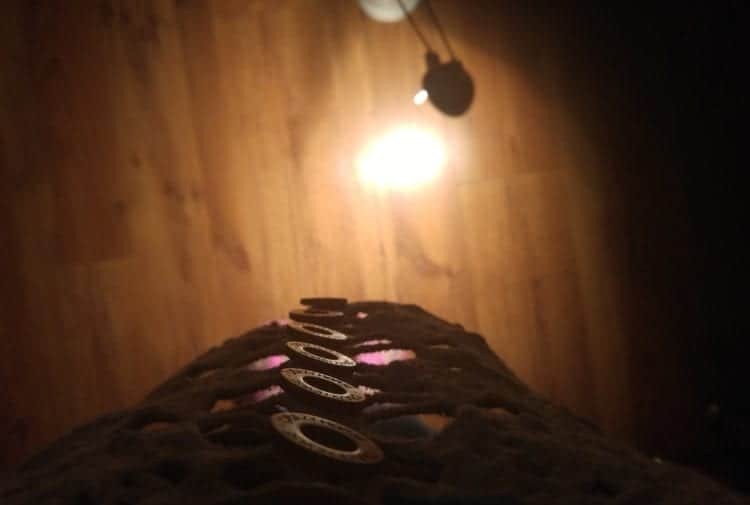 What a thought – waking up rested AND seeing my toes! I can get used to this. Want to know how I can help you achieve your own health goals? Why not send me a note using the “Contact Us” tab above. 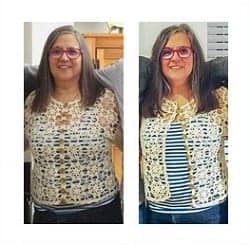 It’s been 4 months since I began my own weight-loss journey, following a low carb high healthy fat diet and I’ve been to the lab and had my blood tests. Here is an update on my progress to date. 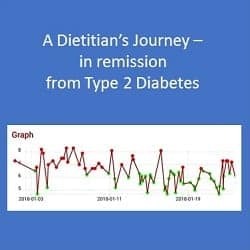 When I began this journey at the beginning of March, my fasting blood glucose was averaging 12 mmol/L – and this was when I was eating the ‘standard recommended diet’ for someone with Type 2 Diabetes. My diet was high in complex carbs, and low in saturated fat. Also, as has been traditionally recommended for someone with Type 2 Diabetes, I ate 3 meals per day and made sure to have 2 – 3 snacks per day (each with complex carbs and some protein). 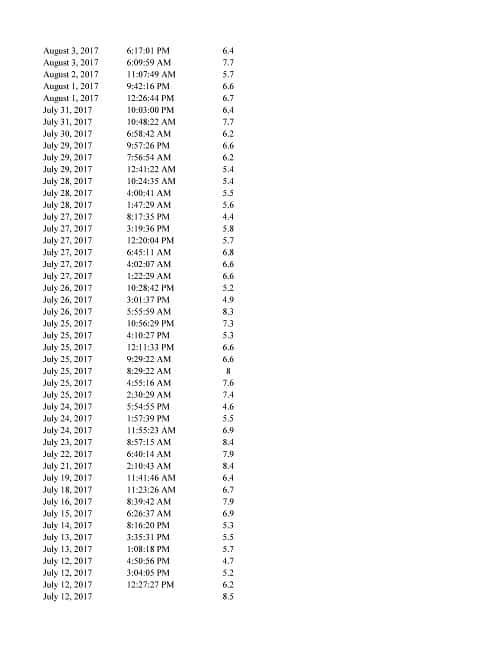 Now, four months into eating low carb high fat, my fasting blood sugar is averaging 8.5 mmol/L. 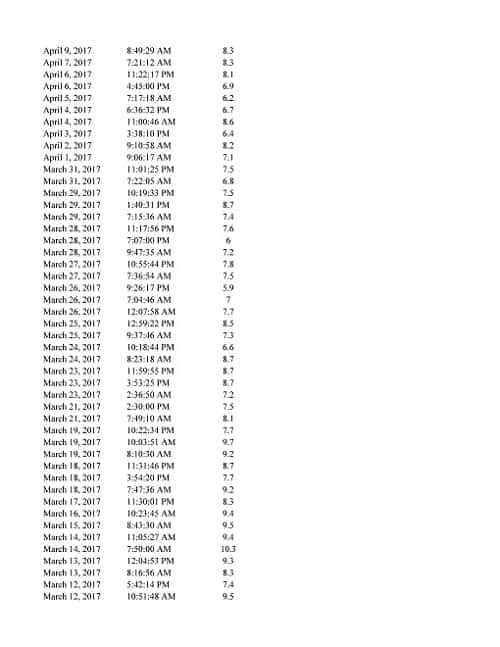 It is significantly better, but not what I had hoped which was to be at or below 6.0 mmol/L (below the Diabetic cutoff range) in this time. There were factors that I was not considering. 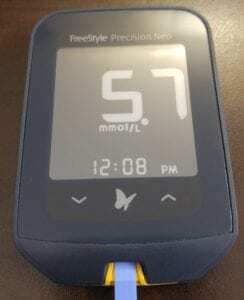 Firstly, my blood sugar has been persistently high in the morning since I have been in nutritional ketosis – significantly higher than 2 hours after a meal. At first, I couldn’t figure out why. 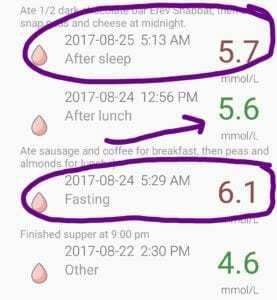 I’d been tracking my blood glucose at various times of the day; fasting, before I eat, 2 hours after I eat, before bed etc., but regardless what I ate the night before, it was highest in the morning. It was then that I began to suspect that the effect of the hormone cortisol might be a factor. Cortisol is our “fright and flight” hormone and under stressful conditions, such as being chased by someone or something, cortisol provides the body with an immediate source of glucose by breaking down our glycogen stores in our muscle and liver (a process called glycogenolysis) and uses them to manufacture glucose in the liver (a process known as gluconeogenesis). All hormones have a natural cycle of rising and falling throughout the day and this is known as a hormone’s circadian rhythm and over the course of the night, cortisol production begins to climb around midnight and reaches and is highest level between 6 am to 8 am. 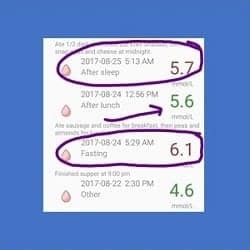 When I began to track my blood sugar from 10 pm until 8 am, I noticed that it would start going up in the wee hours of the morning and keep rising until 6:30 or 7 am, am when I would take it. It was then that it became evident that my fasting blood sugar was rising with cortisol. Chan S, Debono M. Replication of cortisol circadian rhythm: new advances in hydrocortisone replacement therapy. Therapeutic Advances in Endocrinology and Metabolism. 2010;1(3):129-138. doi:10.1177/2042018810380214. When we sleep, our body breaks down the glycogen stored in our muscle and liver and converts it to glucose for our blood – an entirely normal process. Since I am following a low carb high fat diet and have been in nutritional ketosis for while, my body uses ketones as its primary fuel source and make all the glucose it needs for my blood from the protein and fat in my diet. When it runs out of that, it burns my stored fat for fuel – which is exactly what I want it to do! Since I’d been keeping my carbohydrate intake consistent but not very low, when cortisol levels would rise over night, my body would break down my glycogen first, then my own fat stores to make glucose for my blood, which I suspect is the origin of my high fasting blood glucose. That, combined with my liver still being insulin resistant, the glucose has no where to go. 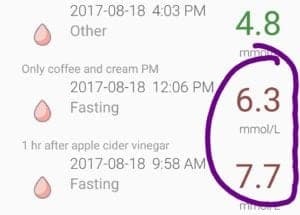 This made sense to me and explained why my fasting blood glucose remained high, despite no carb creep (more carbs than planned for). 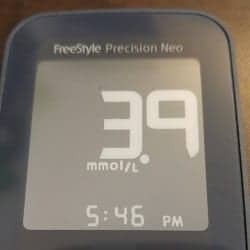 Since I’m keeping myself in nutritional ketosis, I’m not concerned about my fasting blood glucose remaining higher, although I may try distributing my carbs differently – with fewer at night. Since my goal is lower insulin resistance, I am going to continue to focus on that. High blood sugar is a symptom. The problem is insulin resistance. 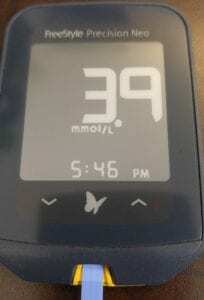 My blood glucose 2 hours after meals has been getting better. 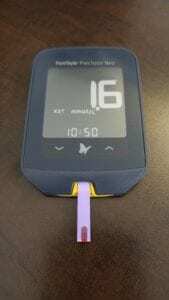 It is now averaging around 6.0 mmol/L (sometimes hovering around 5.5 mmol/L) which is much better than 7.2 – 8.6 mmol/L which is what it was at the beginning of March. My goal is to see it consistently below 5.0 mmol/L after meals by mid-November. Glycosolated hemoglobin (HbA1C) is the hemoglobin in our red blood cells that gets sugar molecules attached to it proportional to the amount of sugar in our blood. 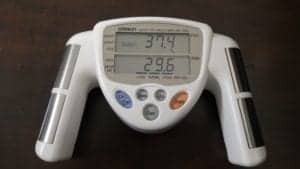 It is used to measure the three-month average plasma glucose concentration, based on the fact that the lifespan of a red blood cell is four months (120 days). The advantage of this test, is that one does not need to be fasting to have it. 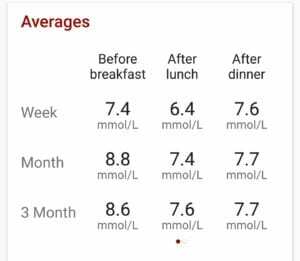 HbA1C is most strongly correlated with fasting blood glucose (as opposed to pre-meal blood sugar or to 2 hour post-meal blood sugar) and since my fasting blood glucose has been consistently high, my HbA1C results naturally reflected this. Lab tests indicate it is 7.5%, which is above the upper cutoff for Type 2 Diabetics of 7.0% – and higher than what I was aiming for, which was below 6.0%, the Diabetic range cutoff. However, since neither fasting blood glucose nor HbA1C measure what I am trying to change (which is insulin sensitivity), I’ve decided that in November, I will pay to have my fasting insulin re-assessed. After all, the goal is to lower insulin – which underlies the high blood sugar! I knew that I needed to get my cortisol levels down, as cortisol drives appetite, which drives eating which in turn, causes insulin to be released. More insulin means my body will be focused on fat storage, not fat burning which is the opposite of what I want. Since my goal is lowering insulin resistance, lowering cortisol makes sense. Since I can’t change cortisol’s natural circadian rhythm, I had to focus on lowering the whole curve! Lowering stress wasn’t going to happen sitting at my desk working. I had to get moving. More on that, below. 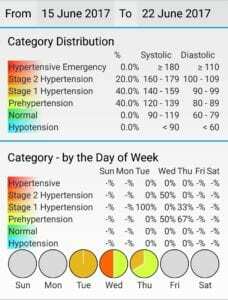 As mentioned in my last update, a month ago I asked to be started on a very low dose of Ramipril (Altace), as my blood pressure had begun to creep up again. 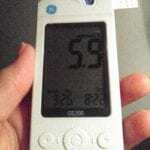 When I saw 160/90 mmHg two days in a row, I went to see my doctor. He wasn’t there, but the locum agreed with my assessment that it was wise to protect my heart, brain and kidneys while I continued to make the dietary and lifestyle changes. She asked me to delay getting my blood work for a few weeks, to assess my electrolytes (sodium and potassium) level which can be affected by the medication. 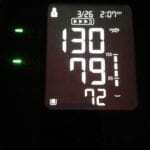 Even two years ago, my potassium was at the high end of normal – and this was when I was dutifully eating a diet high in complex carbs and low in saturated fat, as I ate a diet high in potassium-rich foods. 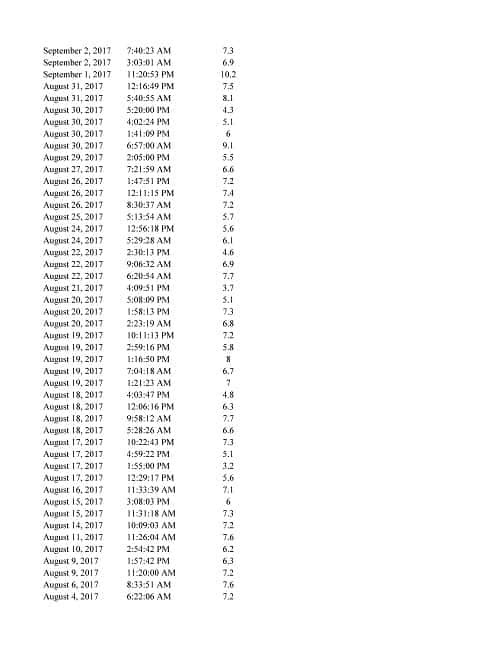 This time my potassium was at the upper normal limit, so I’m tracking my intake of it and keeping it approximately 1/3 to 1/2 of what it was previously. Taking the blood pressure medication is a temporary measure that I decided on in order to offer some protection against heart attack, stroke and kidney damage until I lose more weight, and my blood pressure stays down on its own. Thankfully, my overall kidney function is now better than it was 2 years ago, although I did need to make a few dietary changes to be sure that I avoid getting kidney stones (something that runs in my family). 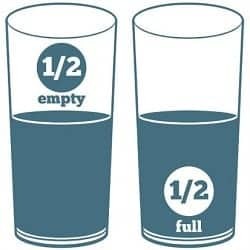 When I started exercising regularly a month ago, I didn’t adequately increase my water intake – which I’ve since corrected. I had also added a calcium supplement when I stopped drinking milk in March and which was binding with certain food components in the veggies and nuts I was eating. 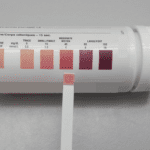 This was probably what was resulting in calcium-oxalate being detectable in my urine. I’m no longer taking the calcium supplement and have added more hard cheese into my diet, instead. 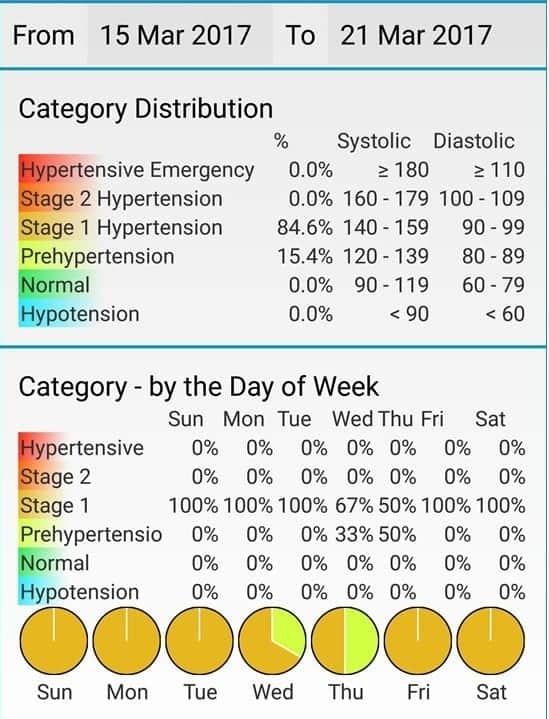 My LDL was at the high-end cutoff two years ago, but after 4 months on a low carb high healthy fat diet, it is approaching what is considered by the existing / popular standards of “optimal LDL” for someone who is high risk (family history of cardiovascular disease). My LDL is 2.60 mmol/L (1.14 mg/dl), my triglycerides (TG) were 0.64 mmol/L and my HDL was 1.97 mmol/L. Using more significant measures, my TG:HDL ratio is now 0.32 (with <0.87 considered ideal). According to several studies (that I will go into more detail in an upcoming article), a very low TG:HDL ratio is associated with lots of large, fluffy LDL – the kind associated the lowest risk of cardiovascular disease (CVD) such as heart attack and stroke. It is the higher density, small LDL particles that are associated with CVD. A month ago, I began walking every morning during the weekdays. I had just fractured a rib (slipping washing a bathtub!) and read that walking was good to reduce pain. Since reducing pain was high up on my “to do” list, I started with walking 1 km each morning during the week, before I began my office hours. I gradually increased it to 2 km. The last week and a half it has been 3 km. At the beginning of last week, I saw a fellow who was in very good shape using Nordic walking poles, so I asked him why he used them. He explained that as he digs the poles into the dirt on the path and pushes himself off of them, it gives him a good upper body as well as the lower body workout that comes from walking briskly. I decided to get myself some. I researched what height they needed to be and decided whether I would get adjustable height ones or not, and purchased them on Friday and over the weekend, I read about how to use them properly. 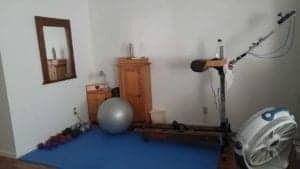 It seemed as thought it would be pretty intuitive for me, given that I have (and use) a Nordic Track ski machine when the weather is not conducive to going out to exercise. I was skeptical that using them could actually increase the calories I burned by 30%, for the same distance walked until I tried them this morning. I am no longer skeptical! I was very well aware of how much better a workout I had gotten after 2 km, but did another 1 km anyways. I can’t wait to go again tomorrow. 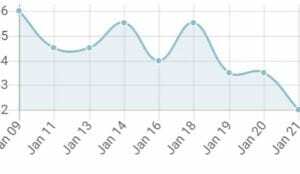 A month ago my weight was still ‘stuck’ at its 6 pound weight loss, so I decided to reduce my carbs slightly but consistently and to monitor my intake of nuts and dark chocolate, which could easily cause me to exceed my carb ceiling. Monday – Friday I wasn’t hungry in the morning, because I would eat a very satisfying meal the night before (with adequate protein and lots of healthy fats and low carb veggies), so I was and am quite content to have only a coffee and cream for breakfast, and then go for my walk. When I come home, most days I’m really not hungry, because my body had finally figured out how to burn my own fat stores for energy! 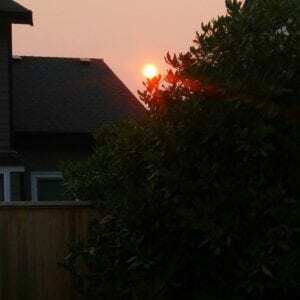 At first when I started exercising (nothing crazy…I was just walking briskly!) and delaying the time between meals, I needed to monitor my blood sugar even more often as it could get quite low in the late afternoon before dinner (+/- 4.0 mmol/L) – at which point I would eat something as I prepared dinner, to raise my blood sugar. In the last 3 weeks, my weight has dropped another 4 pounds, making it a total weight loss of 10 pounds, in all so far. I expect as I continue to walk 4 days a week and intermittent fast most weekdays and limit my carbs, that the weight and inches will continue to come off. I am not suffering in any way! 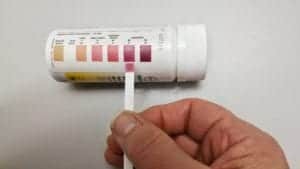 “My body has finally figured out how to make glucose from my fat on a low carb high fat diet. I may potentially have found the source of immortality. I still have at least another 30 pounds to go to get to the “goal weight” that I set at the beginning of this journey, and am now aiming to lose another 40-45 pounds instead in order to reach my ideal (healthiest) waist to height ratio. I clearly won’t accomplish this by mid-November, but if I reach close to my initial goal weight, I will be quite content. They say a picture speaks a thousand words, so below are two photos. The one on the left, with the blue shirt is me at the beginning of this journey. The one on the right, with the burgundy shirt is me now. I am starting to see a face I recognize. Want to know how I can help you reach your own nutrition goals? Please send me a note using the “Contact Us” form above, letting me know how I can help. INTRO: After a seeming endless 6 week plateau with my weight barely budging, I decided to do some serious intermittent fasting and lower my carbs and bingo – my weight is dropping nicely! 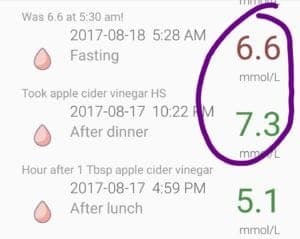 Not only that, my fasting blood sugar is the best it has been since I was diagnosed as Diabetic ~10 years ago. Here’s an update. Yesterday was my third day of intermittent fasting (IF) this week – where I didn’t eat anything after supper at night, until supper the next day. This is my second week of doing intermittent fasting Monday to Friday and eating a regular, low carb high healthy fat supper at night. Here’s an example of what I ate on one night, to give you an idea. It was some Thai chicken thighs that had been marinated in coconut milk, red curry paste and curry and grilled on the barbecue, along with a huge mixed green salad, with some shaved Parmesan, raspberries, pepitas (pumpkin seeds) and homemade raspberry vinaigrette (great thing to do with over ripe berries!) that was made with Dijon mustard, wine vinegar and extra virgin olive oil. To start with, I also ate about a cup of snap peas with ~ 1 1/2 Tbsp of taramasalata (Greek carp roe spread) that didn’t have any of the usual bread in the recipe. 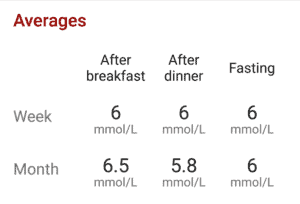 Last week, which was my first week of regular IF, my fasting blood sugar, which had been stuck at the high to mid- 6 mmol/L (117 mg/dL) range for weeks, dropped to the mid- 5 mmol/L range (~99 mg/dL) for several days in row. Yesterday, which was my third day of IF this week, my blood sugar just before dinner was the lowest it has been since I was diagnosed as Type 2 Diabetic ~10 years ago. While I felt totally fine and had been working a full clinical day, I knew it was time to eat something! I ate about 10 salted almonds and went about preparing dinner. I should add, that last week I also started walking daily ~ 2-3 km (1 1/4 -2 miles) around a local man-made lake (I posted a video below, so you can see it). The first two days I could only go once around, as I had fractured a rib last Friday and it was still quite painful. I starting walking daily because it was supposed to be good to alleviate the muscle pain accompanying my injury and I found it helped a lot, so I kept doing it each morning. Then I realized how great it felt to be walking in such a beautiful place, so now it has become a morning routine. My blood pressure is doing amazing now. 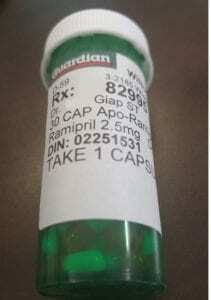 It had stalled between Stage 1 hypertension and pre-hypertension for about a month, but when it creeped back up to Stage 2 hypertension for two days in a row, I decided to go see my doctor and get prescription for a ‘baby-dose’ of Ramipril (2.5 mg). There is a strong family risk of heart attack and stroke, and a blood pressure that hit 160/90 was not something to fool around with. I plan to staying on the meds until I lose another 20 pounds, or until my blood pressure becomes too low – whichever comes first. Look at my blood pressure now. The only day that was high (Stage 1) was last Friday, before I started on the lowest dose of Ramipril. 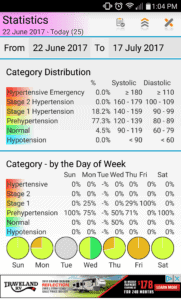 The rest of the time I am in pre-hypertension and one day was totally normal! I am looking forward to seeing the continued dietary changes, bring it down even further. 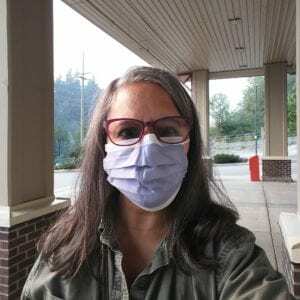 As I planned to do 3 months after I started eating low carb, I have a requisition for blood work and an appointment for mid-July to have that done. I will be getting my HbA1C checked and my cholesterol, along with some liver and kidney function tests as well as electrolytes (important on this hypertensive medication). One of the other dietary changes that I made, besides the intermittent fasting, was that I cut my carbs considerably. 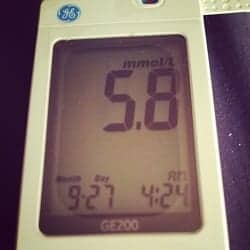 I was not doing well on 50 gm of carb per day, my weight loss had been stalled, my blood pressure as well and it had been a month of no significant progress, even though I was in low stage ketosis. I cut my carbs down to 35 gms per day (sometimes a little less), but making sure to have lots of non-starchy vegetables and protein and of course, plenty of healthy fats in the form of olive oil, coconut milk and nuts. In short, I feel amazing. The weight is dropping, the inches are dropping, my blood sugar is approaching more normal values and my blood pressure is being kept in check, while I continue this process of eating low carb high healthy fat and daily walks. I’m not hungry during the day even though I am not eating, because my body is happily accessing my own fat stores for energy. I think the limiting factor at this point is that my body is not quite used to synthesizing the enzymes needed for it to make glucose from my stored fat (a process called gluconeogenesis), so I will be monitoring my blood sugar closely, to make sure it doesn’t get too low. I want to encourage you, that if your weight is staying stable for longer than you’d like, I’ve posted some things on the blog that would be helpful (located under the Food For Thought tab). One article is on tracking carbs, and the next one is on where calories factor in. 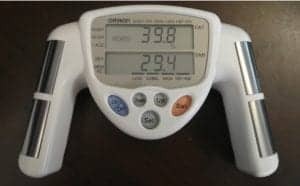 If your weight has plateaued, and you’ve been eating low carb high fat and your not losing weight as you’d like to, these two articles should help. If you’d like to learn more about how I can help you accomplish your own weight loss or insulin-resistance lowering goals, please send me a note using the “Contact Us” form above. Keep in mind that for the month of July only, I am offering a substantial savings on taking both an assessment package and a weight management package, so please visit the front page to find out more about the Canada Day special. There are two words that I’ve noticed aren’t talked about much in low carb high fat (LCHF) circles; one is “calories” and the other is “exercise”. I think that’s because both have been tied to the old “calories in, calories out” model. I think it’s important to reframe both of these within a LCHF context, because both have a role to play in us being successful in improving health as well as losing weight, even though the reasons for that are very different than in the “calories in, calories out” model. In the traditional high carb, low fat paradigm, restricting calories and increasing exercise are seen as the foundation of weight loss – based on the assumption that “calories out” is only the calories we burn in activity. As explained in this week’s blog on “Do Calories Matter When Eating Low Carb”, there are other demands on the energy we take it (calories) that are higher priority than exercise, such as regulating our body temperature and providing energy to keep our heart pumping. In the low carb, high fat model, overall calories need to be understood within a diet that is 70% fat and <10% carbohydrate and exercise needs to be understood within the context of lowering stress levels (i.e. cortisol), as well as increasing metabolic rate so that fat stores continue to be burned long after activity ends. 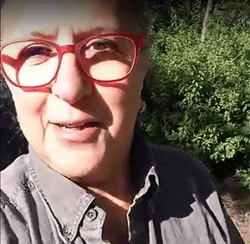 Below is a very short video from my morning walk, with a few thoughts on “exercise”. Today marks 3 months since I started my own weight-loss and getting-healthy journey and so I’m posting this short update. While I’ve only lost 7 pounds, I’ve lost a remarkable 4 inches off my waist, which is greatly encouraging, as I still have another 6 inches to lose (based on my height-to-waist ratio). I know without a doubt that this is entirely ‘doable’! I look in the mirror and recognize the person looking back. 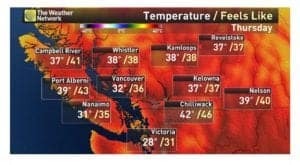 I recently bought new jeans that are a full size smaller and when the weather has been hot, I’ve not only worn shorts, but I’ve wore them out of the house. 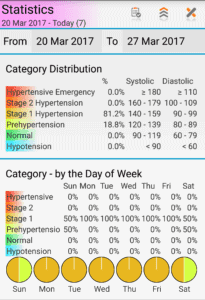 My blood pressure is very stable and now fluctuates between stage 1 hypertension and pre-hypertension; a dramatic improvement from the wildly erratic fluctuations between stage 2 and stage 1 hypertension, with a hypertensive emergency thrown in for excitement. 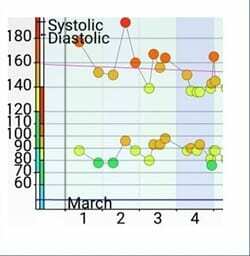 It was that crazy high blood pressure which started me on this journey, but what keeps me on it, is how I feel. I feel great! 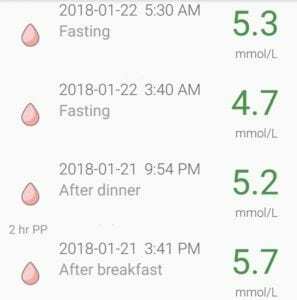 My blood sugar has been great after meals, but recently has become quite a bit higher several hours after eating, even though I have not eaten or drunk anything except water. 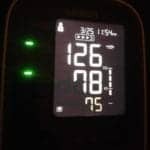 From the reading I’ve been doing in the literature, this has been reported in those who previously had what is called “dawn syndrome” (high morning fasting blood glucose – which I had) after they’ve adopted a low carb high fat diet. 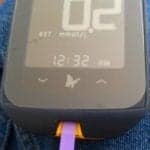 It seems that the second of the two stages of insulin release is suppressed in those such as myself, causing blood glucose to remain higher for a longer period of time. One way of addressing this is via exercise, so it seems I will be doing this more than once in a while to manage this. This morning it was gorgeous out; clear sky, cool temperatures and the track was beckoning me, and so I went. I haven’t worked out more than 2 or 3 times a month since I began my journey, but despite that, I noticed a huge improvement in my fitness level today. I can only attribute that to the loss of fat around my middle. I did an extra two rounds on the track at a pretty decent clip, with a total distance of 3.2 km (2 miles). I could have done another round (maybe two) but thought I might be too stiff tomorrow, and since my goal is to do this more often to address my second stage insulin suppression, I decided to ‘call it a day’ after 3 km. As I was leaving the track, I decided to take a short video to post along with this 3-month update. 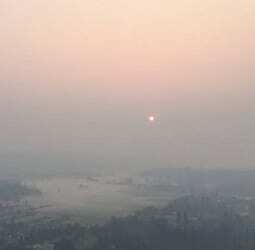 Have a look at the video which is posted below, and compare it with the one from 3 months ago. My progress is evident. Want to know how I can help you accomplish your own health and fitness goals? Please send me a note using the “Contact Us” form above and I’ll be happy to reply. This coming Monday will be 9 weeks since I started this journey. The weight loss has been slow yet steady. I’ve lost 7 pounds and 2 1/2 inches off my waist. I can’t tell you how amazing it is to take jeans out of the dryer and put them on easily! When I look in the mirror, I am starting to recognize the image that looks back. “She” had a neck and a chin – and “her” face is oval, not round. I know that person! 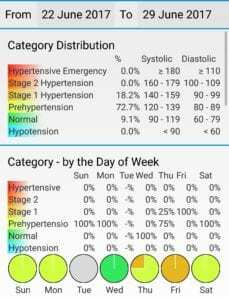 My blood pressure remains very stable (stage 1 hypertension) – down from the wildly erratic fluctuations between stage 2 hypertension, right up to a hypertensive emergency. It was that which started me on the journey, but what keeps me on it, is how I feel. I feel amazing. My blood sugar is continuing to fall gradually, and for the last 2 weeks I’ve been in mild ketosis and am now “fat adapted”. I no longer wake up with stiff, swollen fingers and for the first time in years, I fall asleep easily. Yes, I wake up several times to use the washroom, but I can certainly live with that. This update, I am not going to post any statistics, no graphs, no fat percentages – in fact, I haven’t even taken it since last time. I’m not obsessing over every pound, every inch, or every percent. I’m just doing what I know to do and letting the results come as they come. 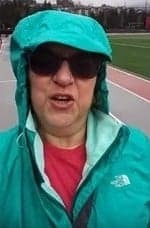 Two weeks after I started (March 16, 2017), I posted a video of me walking at the local track. It wasn’t “pretty” but it was real. The reason I posted it was because I believe it removes the barrier that somehow because I’m a Dietitian with a post-grad degree that I can’t really understand what it is like for my clients. I do. I have to get healthy and make lifestyle changes, the same way as everybody else…one day at a time. So instead of statistics, and charts and graphs, I am going to post the two videos. They’ve not been edited in any way – they are as-shot. Please send me a note using the “Contact Us” form above, and I’d be happy to get back to you. Two years ago, the paradigm from which I’ve understood nutrition shifted dramatically. 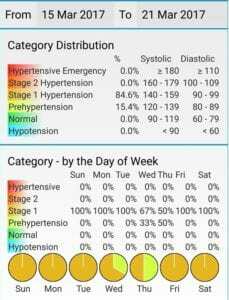 That was when a friend, a retired physician, asked my professional opinion on the approach that Dr. Jason Fung was expressing in his blog, Intensive Dietary Management. I began to read it from the beginning and after almost 3 weeks of reading, I concluded that the physiology was what we learned in our undergraduate degrees – and promptly set aside when we specialized in our respective professions. As healthcare professionals, we talk about “evidenced based decisions” and at that point, I had to decide whether the evidence was sufficiently strong to change the way I thought and practiced. This was this Dietitian’s dichotomy. Fast forward 2 years, and the learning-curve continues as I read through further studies and watch conference talks from some of the leading researchers and practitioners in the low carb high fat world. Five weeks ago, I started practicing what I preached, and began eating what I call a “low carb high healthy fat” diet, myself. So how’s that been going? Well, I am definitely out of denial. 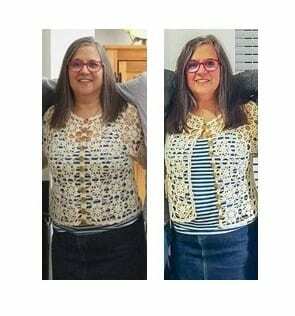 I am overweight, insulin resistant, my LDL was too high and so was my blood pressure – and no matter how I looked at it last week, I had 30-40 more pounds to lose. I had to ask myself – or shall I say, ‘re-ask’ myself “how do I measure success”? If it is by the scale or a tape measure alone, then clearly I am ‘failing’. But am I? My fat percentage is down from 40.2% to 39.8% – which means, despite NO CHANGE in my weight or my waist circumference, I’ve lost body fat. How was that accomplished if I didn’t lose weight or “inches“? This past week, I’ve been maintaining a higher level of ketones then I did last week, so my body has been breaking down triglycerides (fat!) 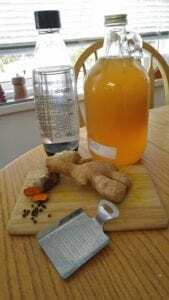 in my liver and fat cells, to make ketones for my brain and to synthesize glucose for my blood. I check my blood sugar every few hours to ensure it doesn’t drop too low. Something that has been slow for me to grasp hold of, is the need to add salt to my food. I have been used to eating fresh foods with no added salt and preparing foods with the minimum of salt, but with insulin levels falling, so does the kidney’s retention of sodium. By eating only when hungry and only until no longer hungry, my insulin levels have the opportunity to fall to baseline – something they do naturally after not eating for 12 hours. On days where I extend the time until I eat by a few hours (i.e. “intermittent fasting”), my insulin levels stay low for an even longer period of time. In response, my kidneys excrete sodium, in a process called naturesis. The one thing that has to be monitored closely – even for people like myself who are not on any kind of medication for Diabetes or high blood pressure, is that my sodium levels don’t fall too low, as well as potassium, calcium and magnesium. Sodium and potassium and calcium and magnesium are used in pairs in a number of systems in the body and I’ve learned quickly how important these are. All the more important for anyone taking medication to lower blood sugar or blood pressure! After having one or two excruciating headaches from letting my sodium fall too low, I learned quickly that if I feels certain symptoms, I need to take some salt. As well, I’ve learned that people that let their potassium get to low sometimes experience heart palpitations – not a pleasant feeling. 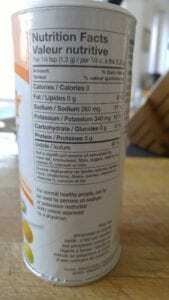 I already was supplementing Calcium and Magnesium (along with Vitamin D) prior to adopting a low carb high fat diet, but how to get adequate sodium and potassium? It’s fairly difficult to meet the potassium Dietary Reference Intake on a regular diet, but even with a very high non-starchy vegetable intake, it is still hard. Many of the good sources of potassium, such as potato and yams are not part of the low carb high fat diet. 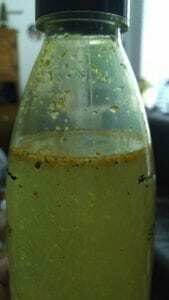 I do eat a lot of mushrooms (high in potassium) but am severely allergic to avocado, one of the best sources, so I make what I call “keto-water”. 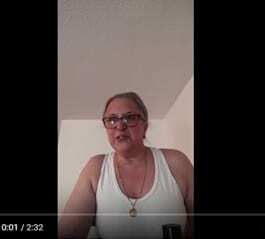 Keto-water is club soda (I make mine at home with my Sodastream!) to which 1/8 tsp of half-sodium / half potassium salt has been added. I put a tiny twist of lime or lemon to round out the taste and also to add a source of Vitamin C to my diet and voila, “keto-water”! Provided I drink two liters of “keto-water” per day, I feel great! No doubt, drinking keto-water has resulted in my body retaining more water, along with the sodium (which is what it is supposed to do!) 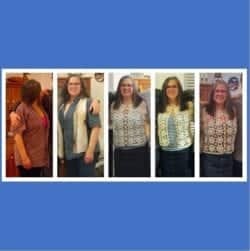 which would account for my loss of fat, with no change in my weight or waist circumference. Note: do NOT use “keto-water” if you are taking medications such as Altace (Ramipril) or other medications that cause potassium retention. 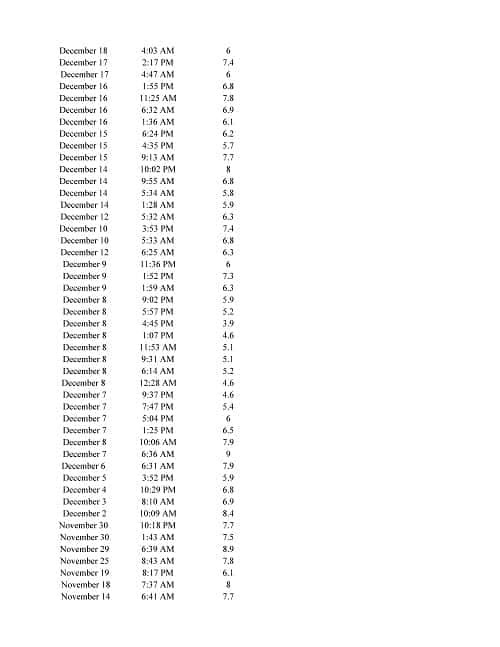 Here is a snapshot of what has occurred with my blood glucose over the last 5 weeks. 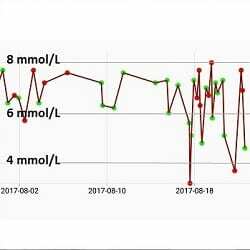 My fasting blood glucose started off averaging 8.6 and then went up, as I began to mobilize fat reserves to supply my blood glucose. Now, my average fasting blood glucose is 7.4 – with dips as low as 6.2 (this morning!) and higher levels in the low 8’s. My postprandial (2 hours after a meal) blood glucose is great after lunch, a bit higher later in the day (I’m guessing due to the circadian rhythms of cortisol) but then drops nicely before bed. Keep in mind, these results have been realized in only 5 weeks of eating a low carb high healthy fat diet! Now this is a beautiful thing! For those that have been following this journey over the last 5 weeks, you may recall that it was a crazy-high blood pressure that was my impetus to change the way I ate. It has been pretty steady the last 2-3 weeks but certainly down from what it was. From 3 weeks in a row stalled at ~80% Stage 1 Hypertension and ~20% pre-hypertension, it is almost 60% / 40% now…and that is WITH taking sodium and potassium “keto-water”! This is how I measure success. Success is about achieving goals and my goals have been about lowering my insulin resistance and blood pressure and losing weight and inches in the process. Success is attained when you measure the appropriate outcomes. Wonder how I might be able to help you accomplish your goals? 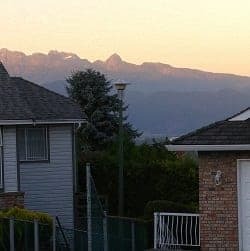 Whether you live in the Lower Mainland or hundreds of kilometers away, I have service options to meet a wide variety of needs. Please send me a note using the form on the “Contact Us” tab, above.